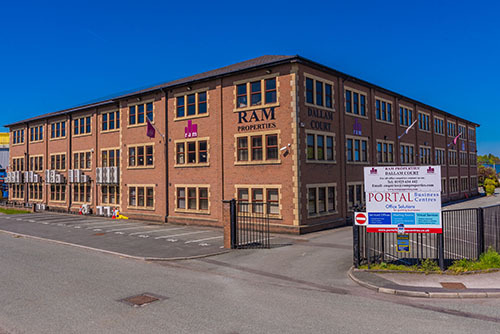 Dallam Court is a modern office building on three floors, each with approximately 11,000 sq ft. From the grand entrance on the ground floor, there is a central service core with two lifts and brew room, ladies, gents and disabled toilets on each floor. Dallam Court is located near to Warrington town centre adjacent to the Tesco Extra Store. There are outstanding road and rail links just minutes away. The building is contained in its own grounds and there is ample on-site car park.